Built by Raja Bhoj of the Shilahara Dynasty nearly 800 years ago, Asherigad towers above the other forts in the Palghar (which is beyond Virar) region due to its sheer size and height. Remains of settlements, a ruined entrance, fortification symbols, an ancient Portuguese shield, water cisterns, lakes, a cave and a temple are the things to see on top, apart from views of Adasul and Kohoj forts. 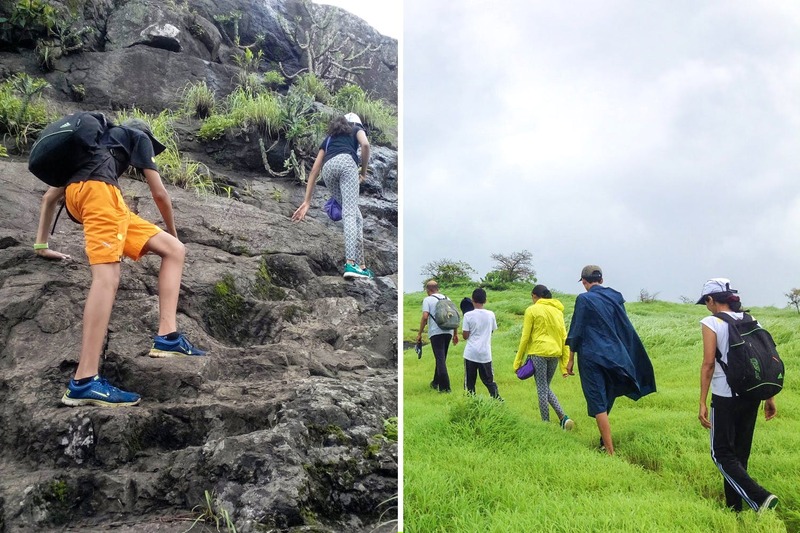 Someone who loves trekking or exploring while walking in the rains. Asherigad is a moderate trek, which is considered by some as a good place to start if you haven’t trekked before. Because you’re an adventurer. Sure, the thought of sipping cocoa while watching Netflix in the rain is appealing, but we’re all for stretching our legs and heading out for a good ‘ol trek while we’re at it. Make sure you carry the bare essentials while going on your trek. For seasoned explorers, you already know the drill. For newbies, since it’s the monsoon, don’t forget your poncho, insect repellent, a walking stick and an extra pair of clothes. If you’re carrying your camera, make sure you’ve made provisions for it during the rains. And if you’re worried about not being able to make it, Countryside Adventure Holidays that is organising the trek, have tour leaders trained in first aid, CPR and basic mountaineering. The first trek is an adrenaline rush. Trust us. If you successfully complete it, you have a chance of exploring more of Maharashtra’s forts. Happy travels!